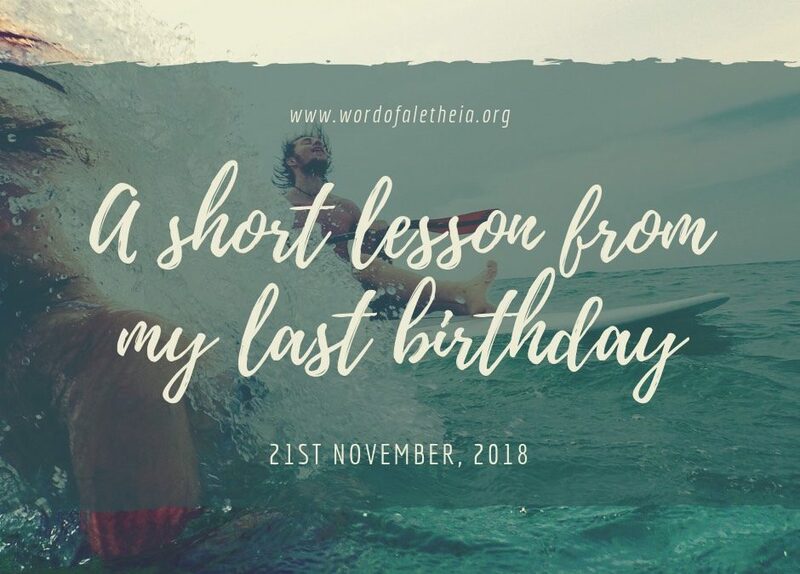 I was not intending to write an article really, but at the same time I wanted to share a lesson the Lord impressed on my heart from my last Birthday. So expect that, this article won’t be one with so many scriptures but with a story that reveals the person of our Heavenly Father. Since the past 2 years I have loved to always find time often at midnight crossing over into my brethren to seek the Lord’s face for my new year. I love to hear His prophecy for me into my new year. I always want to hear His instructions, promises etc. and I love to have them first before the calls, messages etc. from friends. I do not have any scriptural backing for this, but I just love to do it. This year however, just as my birthday was around the corner, I had a lot of work on my plate that got me really busy, such that in-fact, I spent my whole birthday in the Library. Not new for me though, because 2 years ago same happened. I was really busy, that even though I wanted to create the time for my special time to fellowship and receive from the Lord, I just didn’t have the time. I slept into the morning, woke up, cleaned up and I was off to the Library. Thanks to all my beautiful friends who celebrated me. I really appreciate you all. It was a bit difficult to focus because the calls, messages etc. kept making my phone buzz continuously, but I was able to achieve more than I would if I had stayed at home. And here is where the lesson is. I got home quiet late and just then a call came in from a brother friend, and he started prophesying to me. 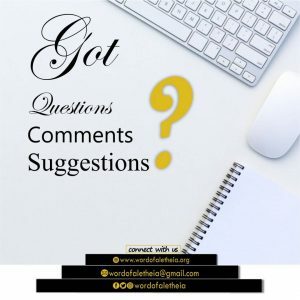 He spoke extensively into God’s mind/will for me for the coming years some which were a confirmation of what I had heard from God myself some days before. Friends, I leaped with Joy. Not just because of the prophecy but I learnt the Love nature of God once again. Jesus didn’t just die to create a way for us to go God, He made a way for God to come to us. In the Christian faith, we are not just the only one going to God, He also comes to us. Oftentimes He wants to come to us more than we want to go to Him. Often, we quote the above scriptures and say, Oh, the child went back to his father and forget the disposition of the father (which illustrates the person of our heavenly father) that he ran to his child. He ran! And even in our mess, and not having time, he still comes to us. 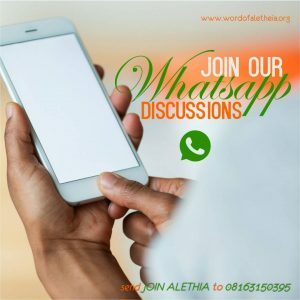 While I am not advocating for a lackadaisical attitude towards our fellowship, am trying to show us how much the passion of the holy-spirit in helping us. I hope this encourages you and it has for me. And don’t forget to send my birthday gifts, I am still receiving them pls. For Christians, sin is not a way of life. Rather, it’s a mistake. An Accident. It’s something that should never happen. But Oops – sometimes it does! So what do we do when we feel the guilt that follows sin? Oftentimes when Christians sin, the after-problem is not forgiveness, but guilt. I personally believe, that feeling guilty when we sin, is still a sign that we love God, a sign that we didn’t like the fact that we sinned. However, prolonged guilt is what must be corrected. In our state of innocence, we feel sorry that we wronged God. We wish we never did what we did. Sometimes we even punish ourselves compensate for what we have done wrong. Seems fair enough, from our human eyes. But have you ever taken a moment to stop and ask: How does God view it? How does God judge my sense of guilt when I sin? It is my prayer that as you read this article, the Holy-spirit may open your eyes and speak the message you need to hear from him today. While as Christians, we should never comfortable with sin, it is healthy to feel guilt when we do sin. In-fact, if you are a Christian and you do not feel guilt after sin, then it’s very unhealthy. . The problem begins when we stay in the position of guilt for too long. It is one thing to know we are forgiven, but another thing to accept and believe the forgiveness. A lot of people are living continuously in guilt not because God hasn’t forgiven them, but because they haven’t accepted the forgiveness which they need to forgive themselves. Looking back to my childhood, it would be impossible to count how many times I offended my parents, they would correct me by giving assignments and often times I was flogged, but guess what It didn’t reduce their love for me. Well, I didn’t earn the love by my acts, so I can’t lose it by my actions. As usual, whenever I did something bad, I felt guilty. I would ask for my parent’s forgiveness, receive forgiveness and didn’t choose to remain at the state of guilt. And I continued to enjoy the love showered on me by my parents. So are we supposed to be with our heavenly father. When we sin, we ask for forgiveness, and he is faithful and just to forgive us, then we must receive the forgiveness and embrace the freedom from shame and guilt. Jesus said that ‘it is finished’. And yes it is indeed finished. He forgave us and made us righteous. It’s a finished work. Completed. Done. we can’t add to it by our self-righteousness and we can’t subtract from it by our acts. It’s done. He made us righteous and told us to walk in this righteousness, not try to attain righteousness by ourselves. To overcome prolonged guilt, we have to know we have been forgiven. Below are some few points I believe can be helpful for overcoming continuous guilt. This has helped me over the years, and I believe they will be of great help to anyone. Every believer should have their own company. As a Christian, there must be someone in your life that can confront you when you are wrong, no matter the level or position you have attained. When faced with guilt, it is recommended you speak with another believer you know has good understanding. Someone you know you can be vulnerable with (your pastor, mentor, spiritual-friend etc.). I would also be available if anyone wants to speak with me. (E-mail: afolabisamson15@gmail.com). Guilt lasts longer because people try to cover up their sins, nurture the wounds of guilt by themselves, but oftentimes this doesn’t work. Do what the above scripture says. Open up to someone. 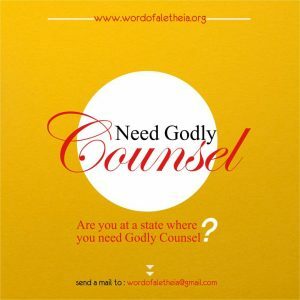 Seek counsel. Let prayers be made for and with you, this may also help in breaking sin addictions. I believe someone who is matured spiritually will be able to handle your secrets. 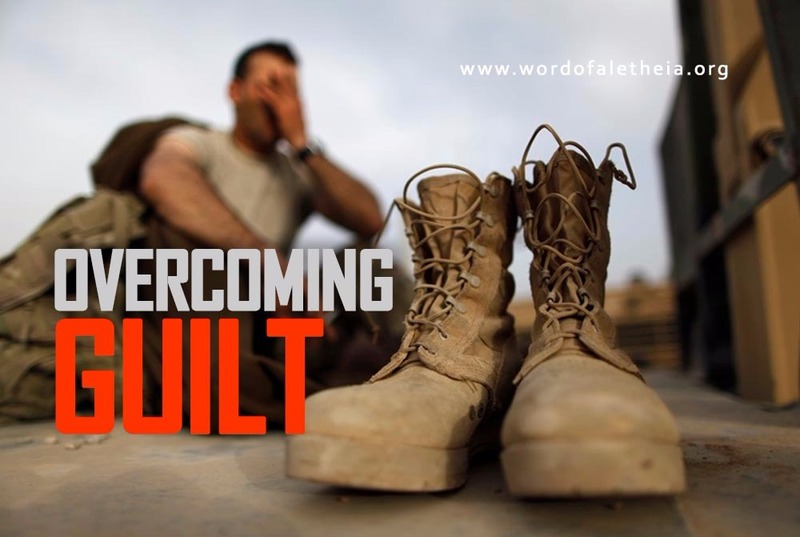 Worshipping God when we face guilt, causes our focus to shift from ourselves and to God. We behold his majesty, meditate on His love for us, and think about his Righteousness. I personally love to sing songs by Hillsong and House-fires. I also recommend many other spirit-filled songs that bring our focus on God’s love for us. As we meditate on this, we gain strength to come boldly once again into our father’s presence. 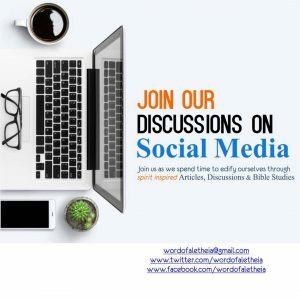 Over the years, I have discovered that the times I have struggled with sin were the times I have not had a good fellowship with the Holy-Spirit in the past days. When we fall into sin, we lose our boldness to pray or worship, we lose our sense of righteousness. We can’t come boldly into His presence any longer as we do. But the point is, we can’t continue that way and hope that the wounds guilt brings will be healed. We have to dear to call him father again, then the author condemnation and guilt, the devil will stop accusing us. The story of the Prodigal Son (Luke 15: 11 – 32), is a good example of this. The boy realised what he was done, he was sorry for what he did wrong, but he didn’t stay there, he took a step, he went back to his father. The boy decided to arise and go back to his father and interestingly despite his sins, his father still loved him and while he was on his way, his father who had always been waiting for him, ran out to him, showed him love and restored him back as His son. Today, we also need to take such steps. Today, I say despite the prolonged guilt you might be facing, dare to pray, worship and sing. Call him Father. God’s love again his demonstrated to us just like this prodigal son in Luke 15: 11 – 32 stated above. The angel was careful to mention Peter’s name specifically, knowing that Peter would doubt his worthiness to be called a disciple. God was still saying ‘Peter, you are forgiven and you can stop feeling guilty. Thank God, Peter was still greatly used by God to do awesome things to advance the gospel. This was only possible because he did not allow his guilt to hold him back. .
My dear friend, God loves you and He says “You are free”. You do not have to feel guilty. He is inviting you to come up to him and leave the place of your continuous guilt. Just as the story of the prodigal child, who was welcomed home not as a servant but as a son (Luke 15:11 – 32). When a man believes the gospel (about the death, burial and resurrection of Christ) i.e. become saved, His spirit is given life, because his spirit was actually dead in Adam (Gen. 2:17) and he becomes born into the family of God (Eph. 3:15). God legally becomes his father just as the devil was his father before he was born again. On this account he is linked up and rooted and joined to Christ. God becomes the vine and he the branch, he becomes one with the father, a level of spiritual oneness with God (John 15:5). He carries God’s nature, he has Jesus’s own righteousness, he is not condemned anymore, because Jesus carried all his guilt, shame and condemnation, all this happened when he accepted Jesus as lord (1 cor. 15:33). So he now deserves, all that Jesus deserves because Jesus took his place at the cross. 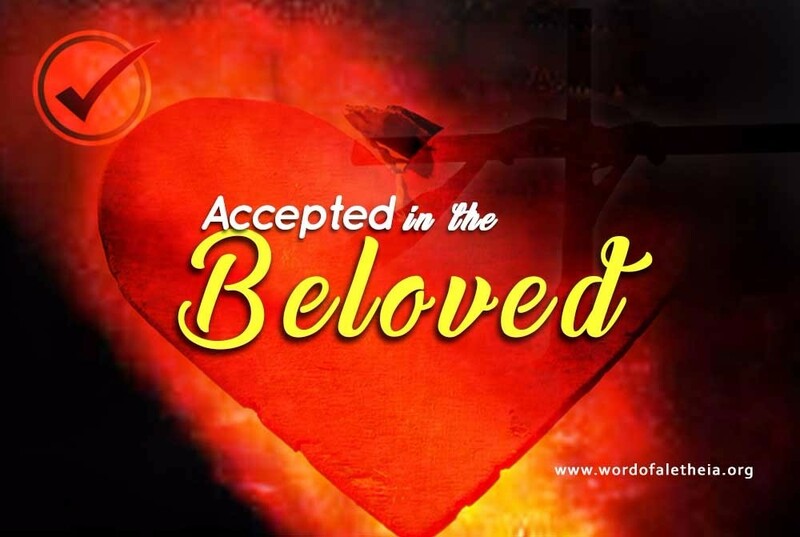 He is accepted in God’s beloved, Jesus. Every Christian is accepted as a son, he has a legal right to the things of God, wherever he goes he can boast of God as his father, he represents God wherever he goes (2 Cor. 5:20). He can legally demand things to be done in the name of his senior brother, Jesus Christ. He is accepted. God accepts him as much as he accepts Jesus. God loves him as much as he loves Jesus. And God can only stop accepting or loving him the day he stops accepting or loving Jesus (Matt 3:17, Rom 8:29). Every believer has a legal sit at God’s right hand (the place of all authority), he is accepted and welcomed always in the church in heaven, so he can command things to happen in the name of Jesus, and make requests because he is righteous in Christ (1 John 4:6 , Eph. 2:6 , Is. 54:17). We must learn not to walk according to our feelings but according to the fact that we are accepted. Children normally grow bold in making requests or even accessing their parents (no matter who their parents are) because they know they are loved by their parents, they know they are accepted, so it doesn’t matter the offence they committed yesterday, they know today and always they are loved by their parents. This is because they didn’t earn their parent’s acceptance by what they did, so it can’t be lost by what they do or didn’t do, rather they earned it simply because they were born into the family. Any other stranger may not have this acceptance even if he/she continues to do right, this is because he is not born into the family. So Likewise are we before our father in Heaven. Christians who know they are loved, accepted, chosen before the foundation of the world (i.e. before they were born physically) are always candidates for exploits in faith (Dan. 11:32). A very good example is the apostle Paul. They grow bold in coming into God’s presence (Heb. 4: 16) to make demands, so as such it is important for every Christian to know that they are “accepted in the beloved” as Paul puts it in Eph. 1:6, and also to know “why”. We are accepted in Jesus as Paul states, not in ourselves. Brethren, let us rejoice because we are accepted before God in Jesus Christ, not because of what we did (Titus 3:5), but because of what Jesus did. 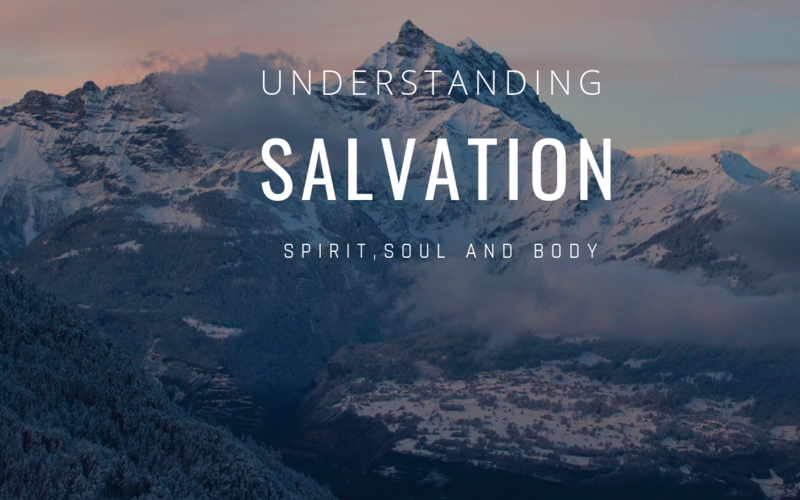 Let us also rejoice because he is continuously supplying us grace that we may keep standing in the salvation which he has granted us that we may not fall from this exalted position. The knowledge of the fact that we are accepted is what we need to continuously overcome sin, live a life of dominion and do exploits in faith (works greater than what Jesus did). 1 John 5:4, Heb. 10:39. I opened the Facebook App on my phone just to take a sneak peep as a short break from my mathematics books, then I saw my one of my very close friend wishing is Pastor’s wife happy birthday and he added “grow in grace”. This 3 words jumped at me, and I asked what does it mean to grow in grace? I had also used the phrase as a prayer for many of my friends and this time I wanted to find out what it really meant. My search led to writing this. The use of the word “grow” informs us of the deliberate, intentional aspect of the statement. Every believer is responsible for their “grace level”. We have to make the choice to grow up spiritually. Yes, do the work to grow. Paul speaking in Ephesians 4:14 encourages us not to be children tossed to and fro. So it means it lies in our capacity to choose either to be children (babies) or matured men and women of faith. And how can we be matured, by learning grace. Grace speaks of the Person of Jesus. So the next time someone tells you to grow in grace, know it’s more than a prayer, it’s a charge. Luke 1:80, and Luke 2:40 points out to us that our Lord Jesus also choose to grow. He grew and increased in favour before God and Man. Spiritual growth is not measured by how many years you’ve been in church, it is measured by how much deliberate effort you’ve put into growth. Growth doesn’t fall on people, people put in effort to grow spiritually. “Some things Paul writes are difficult to understand. Irresponsible people who don’t know what they are talking about twist them every which way. They do it to the rest of the scriptures, too, destroying themselves as they do it. 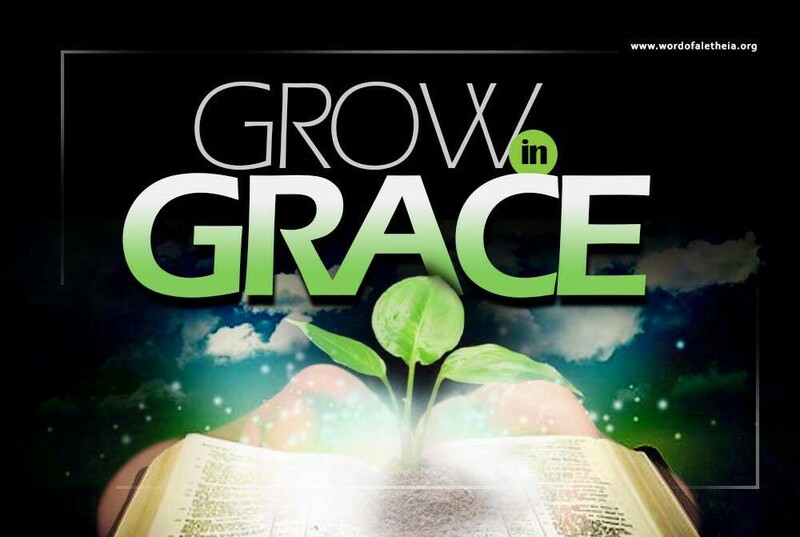 To grow in grace is to increase in capacity. You will be able to do more as your capacity increases. Expand your inner capacity to do more. A 10 year old child would do more than a 2 year old child. If you want God to use you the more than you are doing now, then you have to grow, you have to enlarge your capacity. You need to train your spirit more, set yourself more to the tune of the spirit. Take away those things that distract you. Focus more on Grace (the person of Jesus). As we look steadfastly on Jesus, we are changed to the same level of grace as Jesus (2 Corinthians 3:18). Let me scream it out once again, GROW IN GRACE! How do I then grow in grace? Study the scriptures and pray especially in the holy-ghost, listen to more edifying songs, listen to preaching’s that edifying your spirit, read spiritual books, fellowship with other brethren, have a spiritual company and every-other spiritual exercise that energizes your spirit man. As a final note, let’s know that it is God’s delight that we grow just as it is delight of every father to see his children grow. He delights to give us grace as we decide to grow in grace. With the bread and fish that they had, they believed they couldn’t do it. To Jesus’s disciples, it was humanly impossible to feed five thousand people with this. Had you and I been in their places, we probably would have also thought the same way. God wanted to reach the whole world with the message of Salvation – that Jesus is the Son of God and that He died for the sins of mankind – but all he had was eleven disciples (minus Judas Iscariot) and some other followers totalling to 120 people (Acts 1:15). Compared to the number of people on earth at the time, 120 people was a really small number. Just like the five loaves of bread and two fish was not enough to feed five thousand men, 120 people was nothing. It was ‘’not enough’’ to get the message to the people of the world. It was humanly impossible. Sometimes we look at the seemingly impossible task of the great commission …”Go into all the world and preach the gospel to all creation (Mark 16:15)” and we look at how huge this task is and ask “what difference can I make if I preach the gospel?” or “how many people can I really reach?” And we feel discouraged and hopeless, and then we go with the crowd, forgetting that God can multiply our little efforts. There are as well many examples, of how we may think that our efforts and what we can do are little compared to what has to be done. 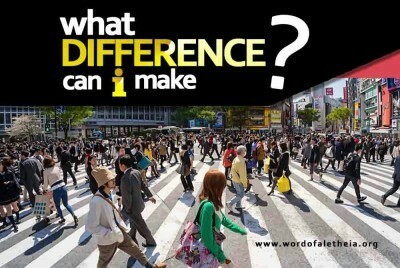 We ask, “What difference does this make if I choose to be godly, or choose to stand for righteousness? Seeing that the whole world is ungodly anyway”. Did you know that mustard “seeds are usually about 1 to 2 millimetres (0.039 to 0.079 in) in diameter? (Don’t worry, I didn’t either, Wikipedia told me. )Can you imagine how small that is? The bible says even this small seed later became a very big tree providing shelter for birds. God is still in the business of multiplying our little efforts today, He is happy to do it. Your little efforts can make a huge difference. Your little prayers of intercession and evangelism to just one person can make a big difference. There is so much stored up in a believer that can never make his contributions worthless. There is so much in me and you, God’s power is at work in us. We too can turn the world upside-down for Jesus through our efforts. However ‘’small’’ they may be, they are powerful. So what does this mean for you and me today? This means that we are called to arise like Deborah, and put in our best into whatever God has committed into our hands. Deborah decided to arise, to stand-up and be God’s voice and through her God won the battle for Israel. She didn’t see her contribution as small. What did the disciples do? They spoke boldly. Yes you also speak boldly. Your contribution is not too little. Whatever you are doing, leading a small group, reaching out the gospel to a friend, leading the Praise and worship in Church, know that your contribution is huge in the body of Christ and it is highly needed. Your contributions are not small or little, God doesn’t see it as such and he even delights in multiplying them.